This is an oval Goodrich Tires porcelain sign. This particular Goodrich Tires sign is black and white with white text. 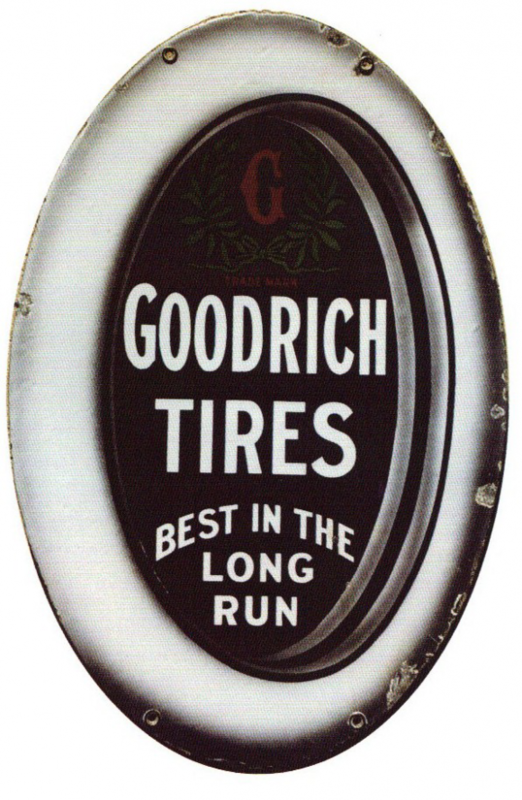 It reads, “Goodrich Tires, Best In The Long Rung” and features a red “G” with red laurels at the top.